Did you know that emotions boost our memory? Or that small muscle exercises help the brain develop? Early experiences contribute to the future capacity of the brain. 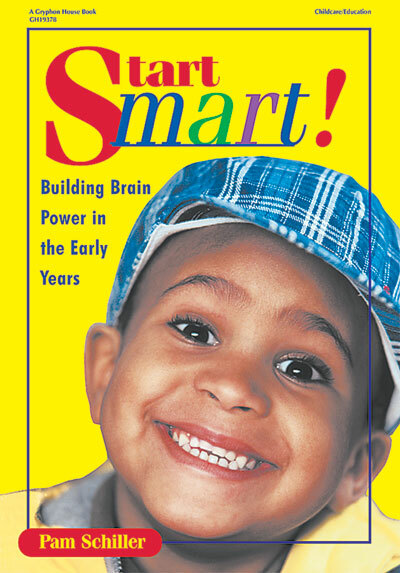 Start Smart offers simple, straightforward ways to boost brain power with active exploration, repetition, sensory exploration, meaningful context, trial and error, and direct experience. All the activities are accompanied by explanations of how and why they help the brain develop. Easy and fun, Start Smart will start young children ages three to six on their way to a future rich with learning. Pam Schiller, Ph.D., is an early childhood author, consultant, and highly sought after speaker. She has written numerous articles for early childhood journals, including Child Care Information Exchange and Texas Child Care Quarterly. Pam is the author of five early childhood curriculums, eleven children's books and more than 30 teacher and parent resource books.